Lately I have been crushing and loving the whole brights and color blocking trends that have been happening. Sadly, my closet is mostly neutrals so I'll have to do some shopping before I can pull it off. Which led me to today's post. I wanted to share with you three outfits I would die to have! 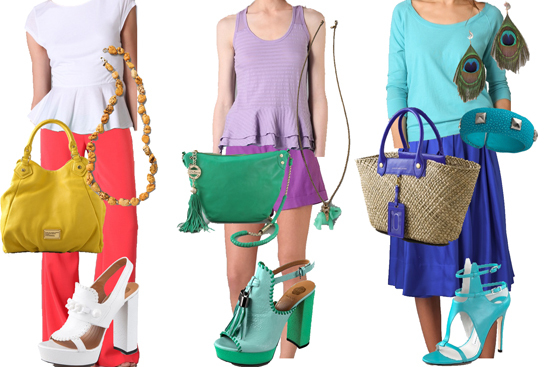 Will you be color blocking this Spring/Summer? What outfit is your favorite?